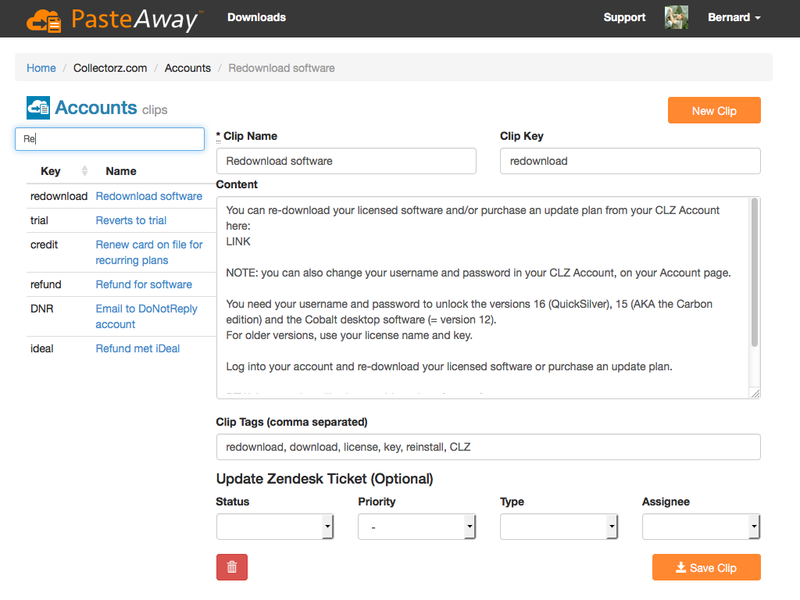 PasteAway is a cloud-based clipboard tool for managing canned responses and other clips. It comes with Windows and Mac clients for pasting clips into any text box in any application. 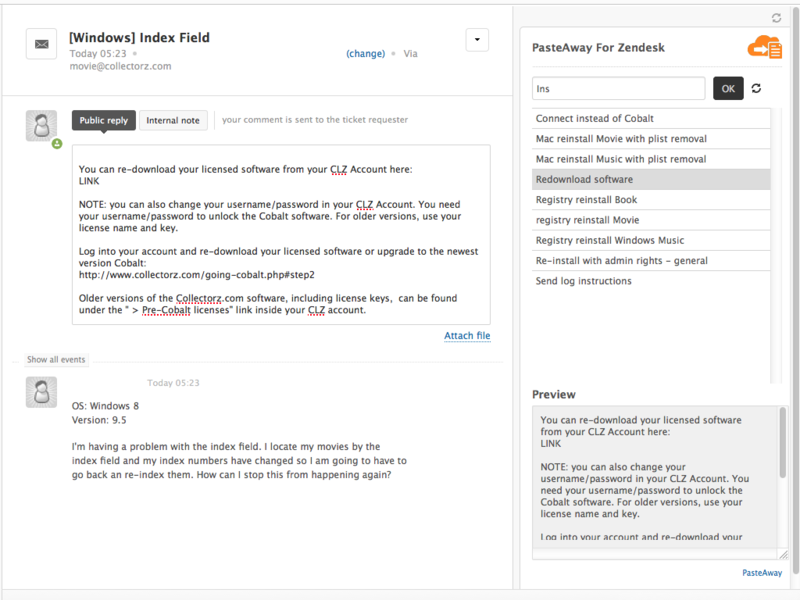 With this PasteAway app for Zendesk you can easily find response templates in your team's PasteAway cloud and add them to your ticket answers. Share responses with your team, group them into project. Then use this app to easily find the right answers and 'paste' into tickets. Have a PasteAway account. Signup for a free trial account here. 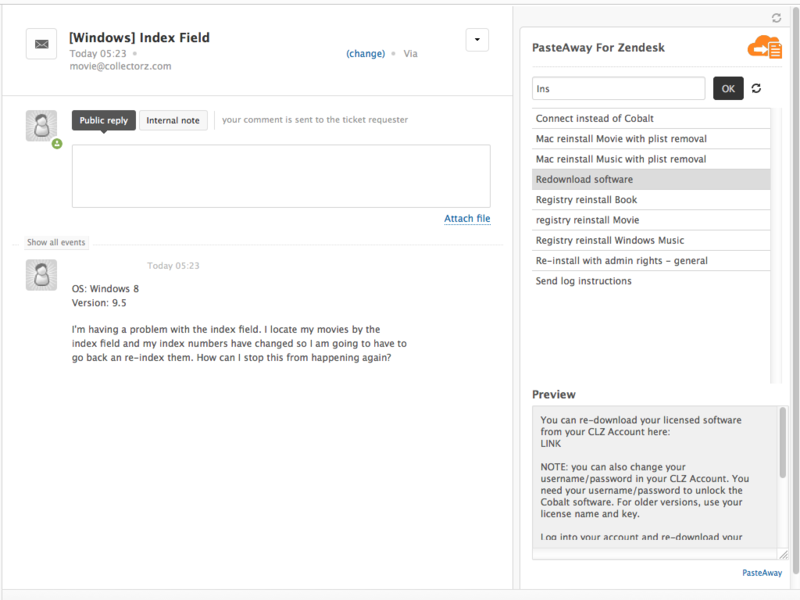 Install the PasteAway app in Zendesk. It will appear in your side bar on the right of ticket tabs. Login to the app with your PasteAway email and password. Ready to go! Now just use the search box to find a clip, then hit enter to paste!